THE RAVER STORIES PROJECT - THE RAVER STORIES PROJECT - Home Page! THE RAVE REVOLUTION!!! IN ONE PAPERBACK!!! The first and only American rave book written by ravers! It's the legacy of electronic music, from EDC to Burning Man--and it's on Amazon now!! Hello, fans of the best music on earth! The producers of the amazing rave book DANCEFLOOR THUNDERSTORM: Land Of The Free, Home Of The Rave have a﻿ new book out about the glorious nights that stay in ravers' minds forever! And you can order the book for delivery on Amazon.com RIGHT NOW!! It's called THE RAVER STORIES PROJECT, and it’s the stories of the most incredible, memorable and even life-changing events that people experience in the rave scene, as written by the people on the dance floor - the ravers, DJs and promoters themselves! media about THE RAVER STORIES PROJECT! "Never before has that history been so intimately or thoroughly compiled as it is in "The Raver Stories Project". The book is an assembly of different firsthand accounts compiled and edited by dance music photojournalist Michael Tullberg, so it's sure to be a good read." Robbie & Scott Hardkiss. Robbie's story of their NYC adventures is in The Raver Stories Project. 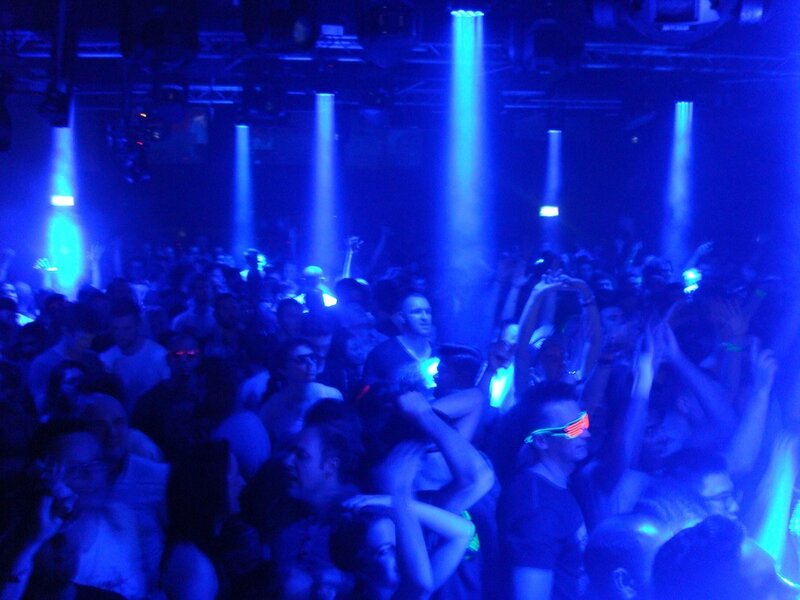 Ministry Of Sound London, shot by story author Kostas Voulgaris. ﻿...and here's a little something from the book itself! "At the time, we didn't realize that we were creating history. We were doing this out of pure love and we were just riding the wave that we helped create."